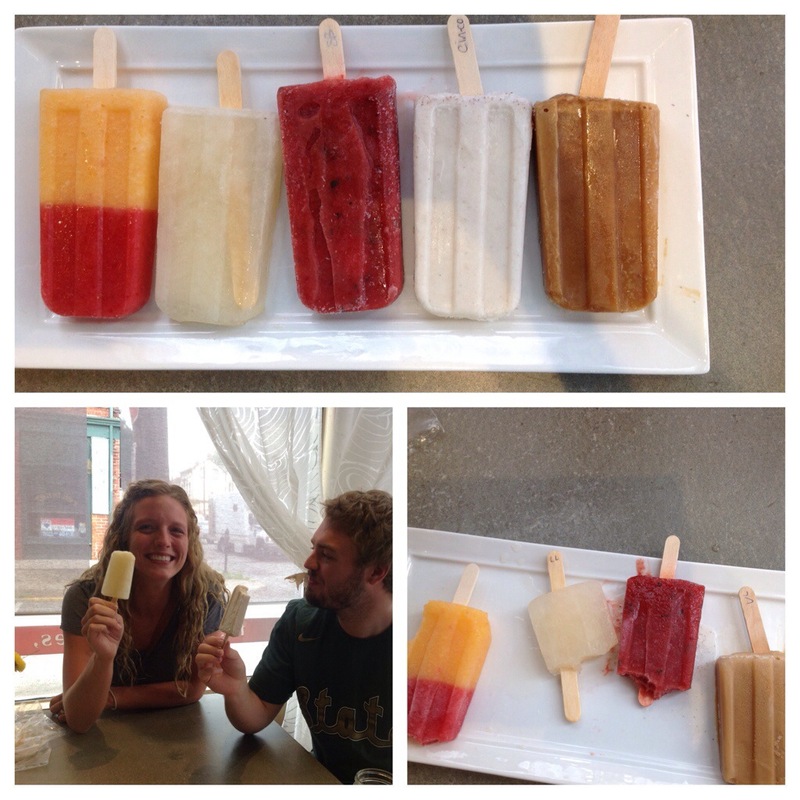 Summer is in full swing with this 91 degree weather, and we are having fun experimenting! 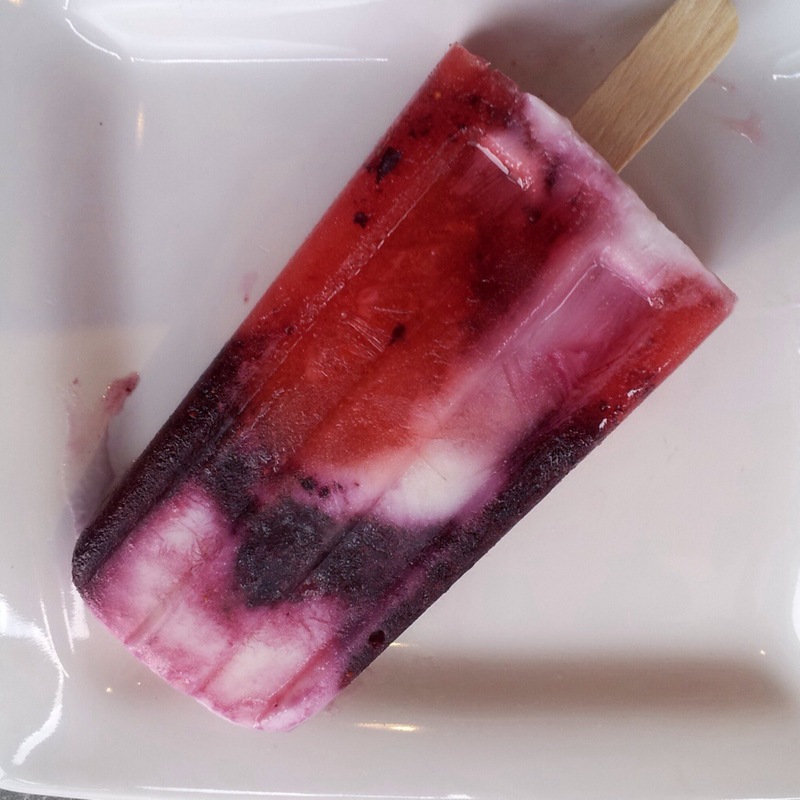 We made a firecracker pop that has red, white and as blue as we can get naturally. It tastes like a fruit parfait! 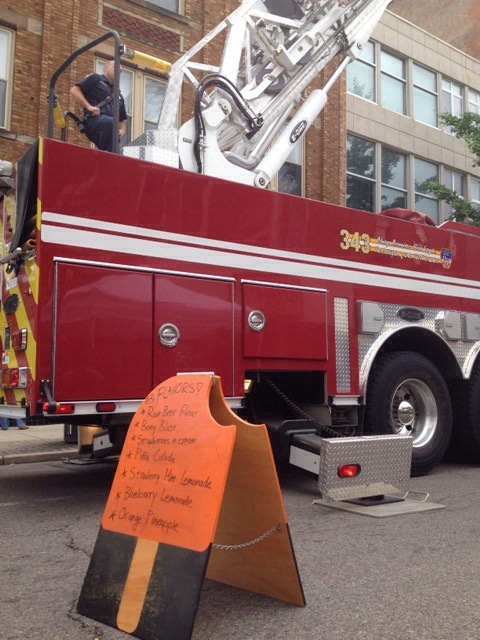 We had a pop tasting for a wedding last week, and a block party as well. 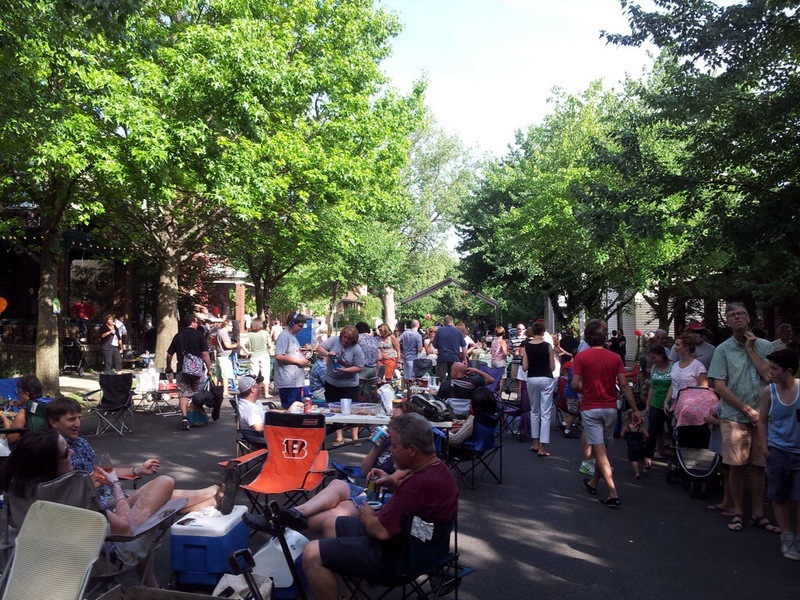 Newport has the best block party I have ever seen! 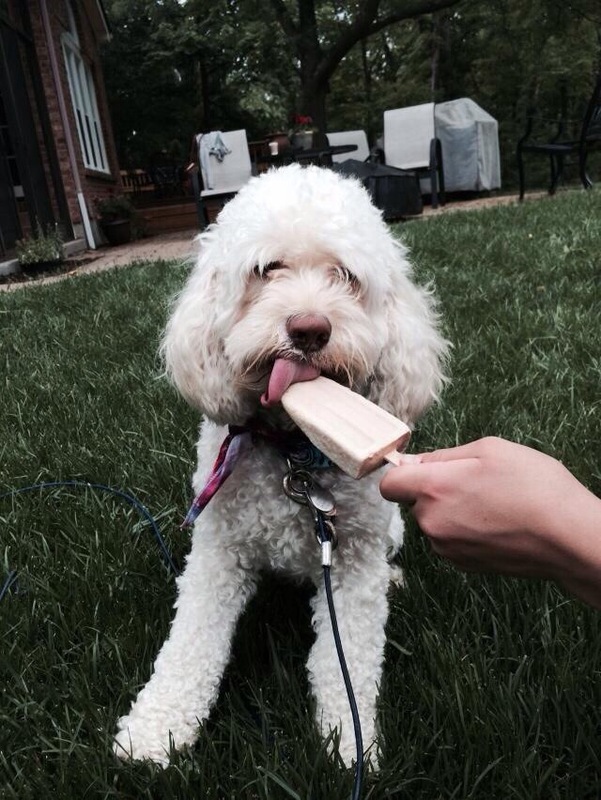 The Oakley fancy flea is this Saturday once again, and after selling out last month, we are coming prepared with twice as many pops. 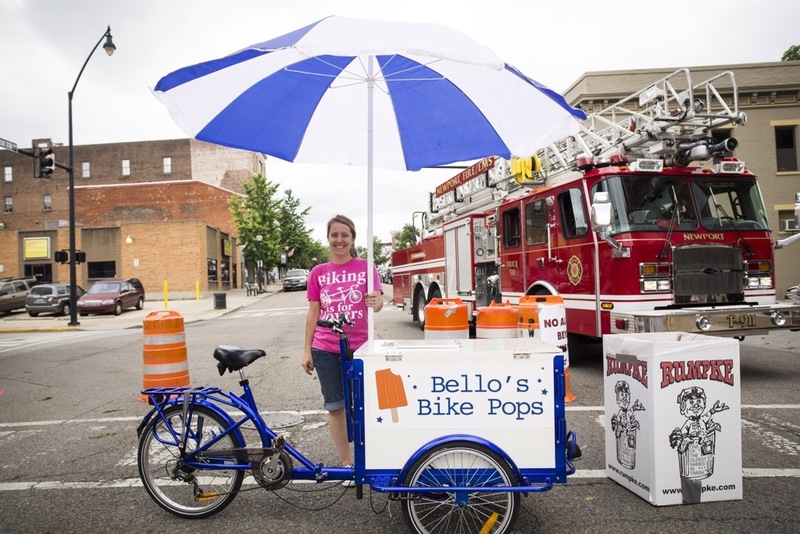 If you are ever looking for a great recipe to make some pops at home, I keep an up to date pinterest board for Bello’s bike pops. Feel free to peruse it! 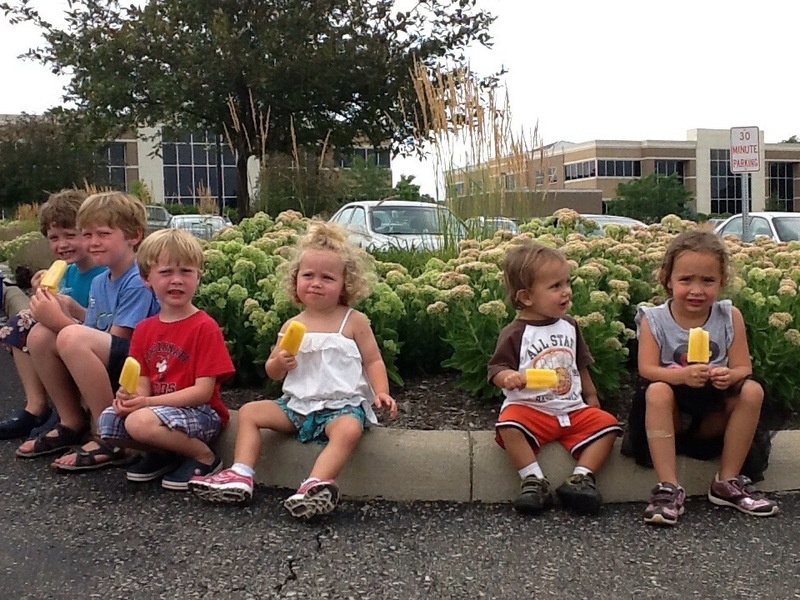 This weekend was a big ice pop weekend with the Newport garden tour, the Anderson farmers market and the Taste of Newport. The weather yesterday was pretty cloudy and cool, which put a damper on things, but we were so glad it never rained! Enjoy some photos from the weekend fun! 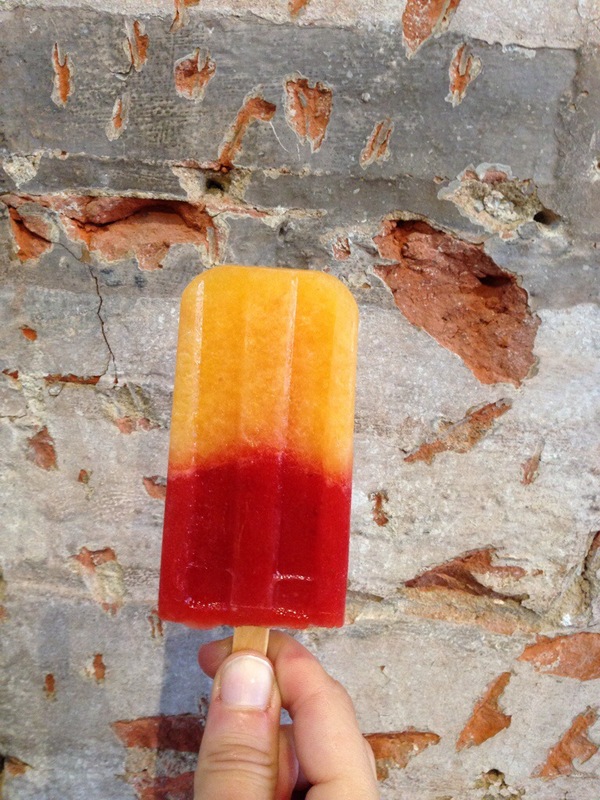 We also added a new flavor, peach and strawberry, and it is so beautiful! 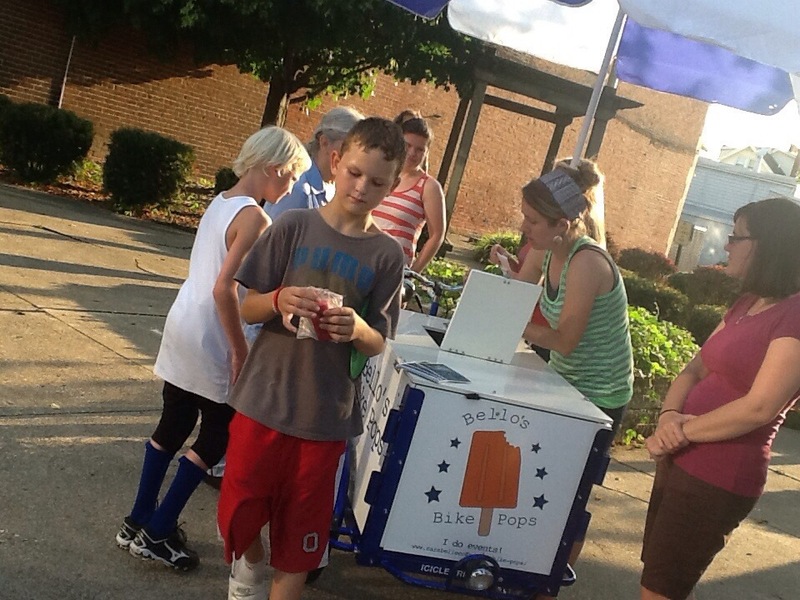 It was a big hit and we will continue with that flavor for sure! 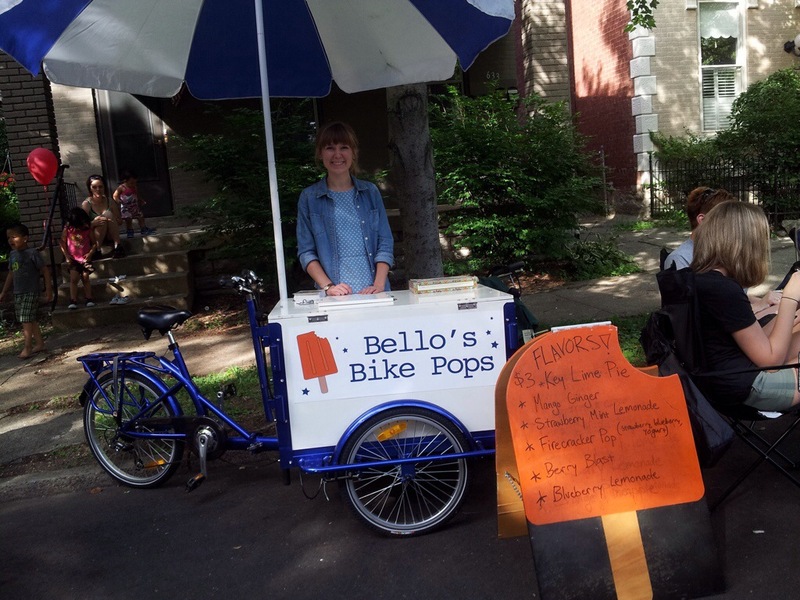 This Saturday you will find the Bello’s Pop bike out in Newport during the Newport garden tour, as long as it isn’t raining. Also, we are happy to be a part of the 2nd annual Taste of Newport event this Sunday June 8th from 11am to7 pm. This event has tons of live music, local food, beer from 8ball brewing, and more! Monmouth street will be closed to vehicular traffic, and we are hoping the rain stays away! Last year this event was a ton of fun, and it is a great chance to try places in Newport. Did you know that Newport has 100 different restaurants? Seriously!